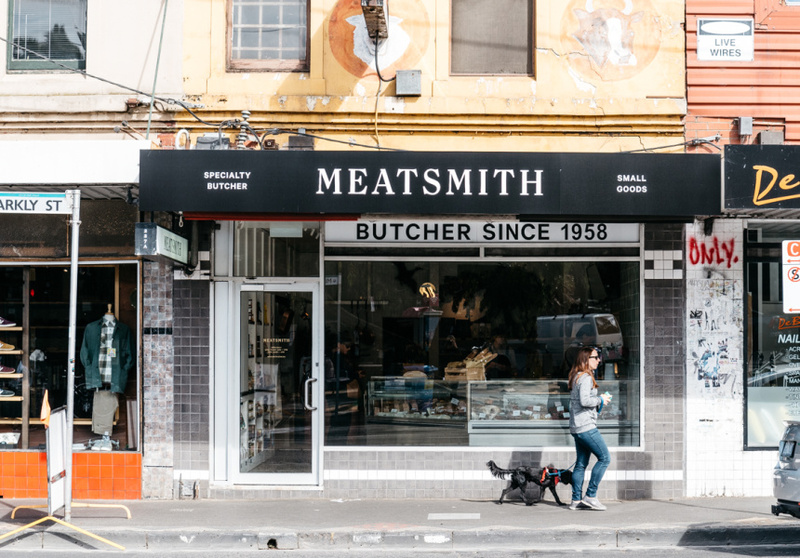 Troy Wheeler (ex-head butcher at Peter Bouchier) and Andrew McConnell opened the first Meatsmith in Fitzroy in 2015. This one followed a couple of years later, toting the same marble counters, high ceilings and smart, green-aproned staff. 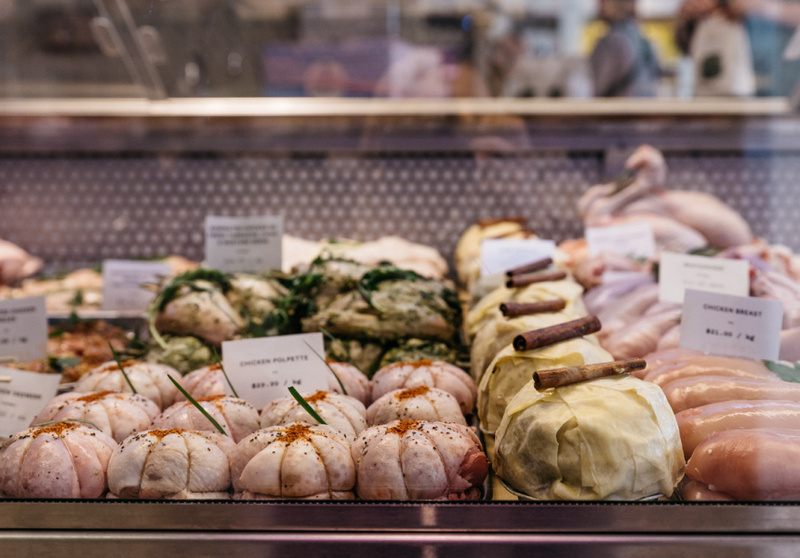 From the outset, these touches make it clear you’re not in a standard butcher – an idea that’s reinforced once you start browsing the stock. 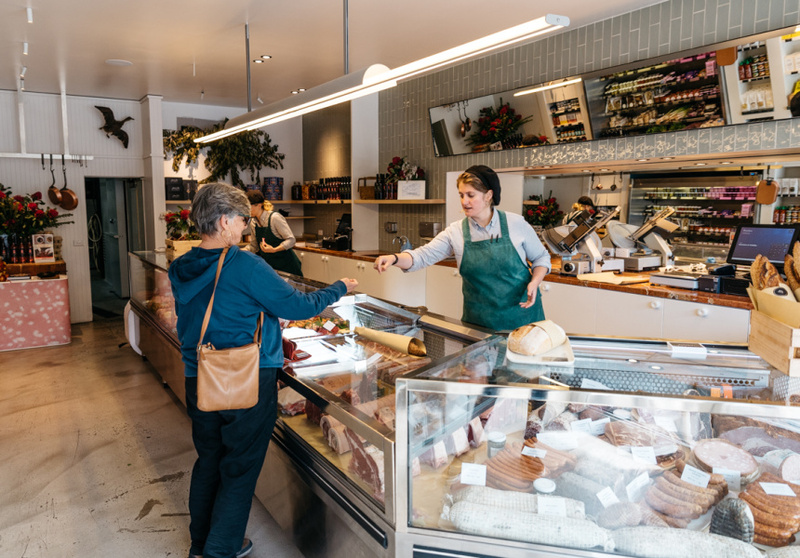 Pristine display cabinets hold top-of-the-line cuts from Victoria’s O’Connor Beef and Thousand Candles Wagyu; chooks by Milking Yard in Trentham; dressed Wiltipoll lamb racks and even whole Duroc suckling pig. There’s also sausages and rissoles. Wheeler has been in the game two decades and makes cold-cuts in-house. 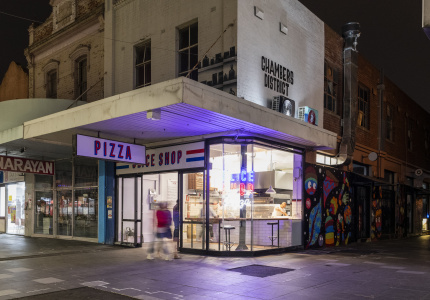 Choose from duck, pistachio and smoked veal tongue pate en croute; house-made mortadella with pork, bacon and pistachios; and the straight-up Wagyu bresaola served at McConnell’s Gertrude Street wine bar, Marion. 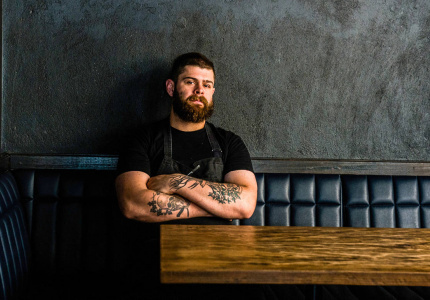 In true McConnell style there’s a wide variety of tasteful accoutrements to accompany said meat: pickles and condiments from The Builders Arms; seasonal produce (kipfler potatoes, cippolini onions); a range of knives, and loaves by Baker Bleu. 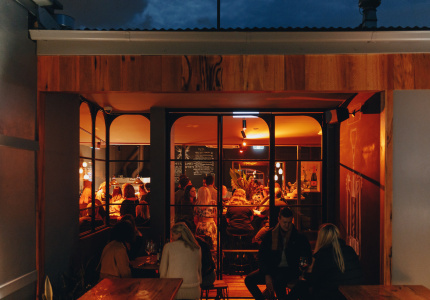 A neat selection of wine, beer and spirits by sommelier Leanne Altmann renders a bottle shop visit unnecessary.